Good afternoon, guys! 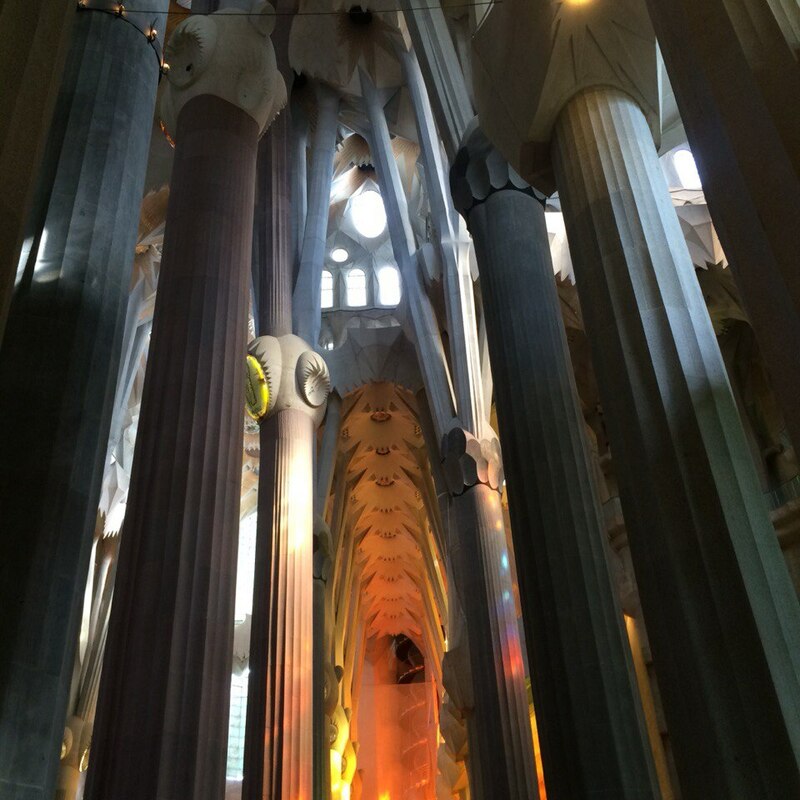 Here comes the pre-last post from Barcelona. 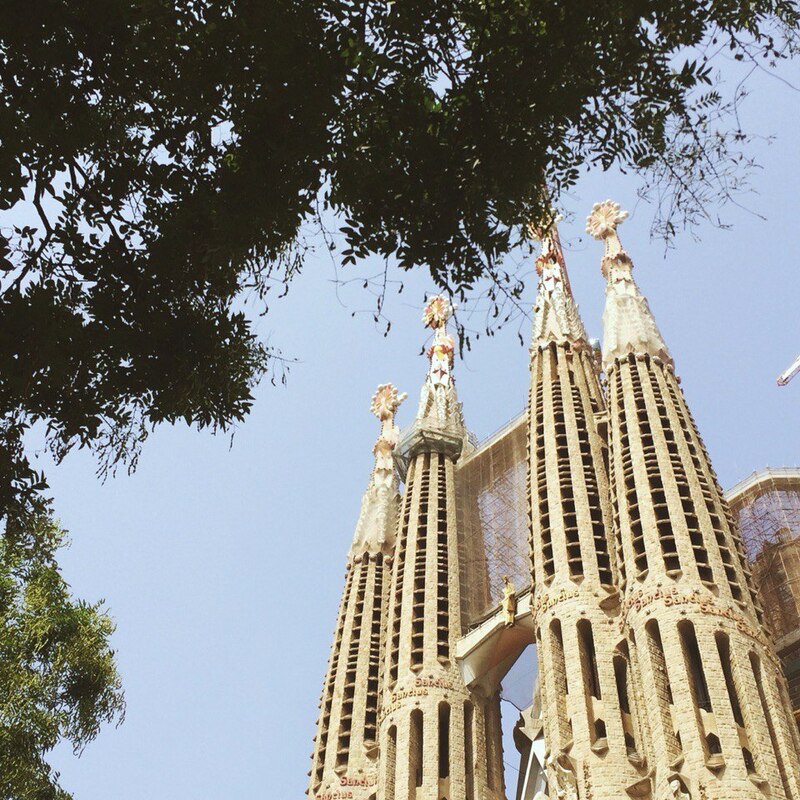 And it’s all about the main attraction of the city – Sagrada Família cathedral. It’s actually quite confusing whether it can be called a cathedral or a dome, I still haven’t got it right, so those of you who know for sure, feel free to correct me. 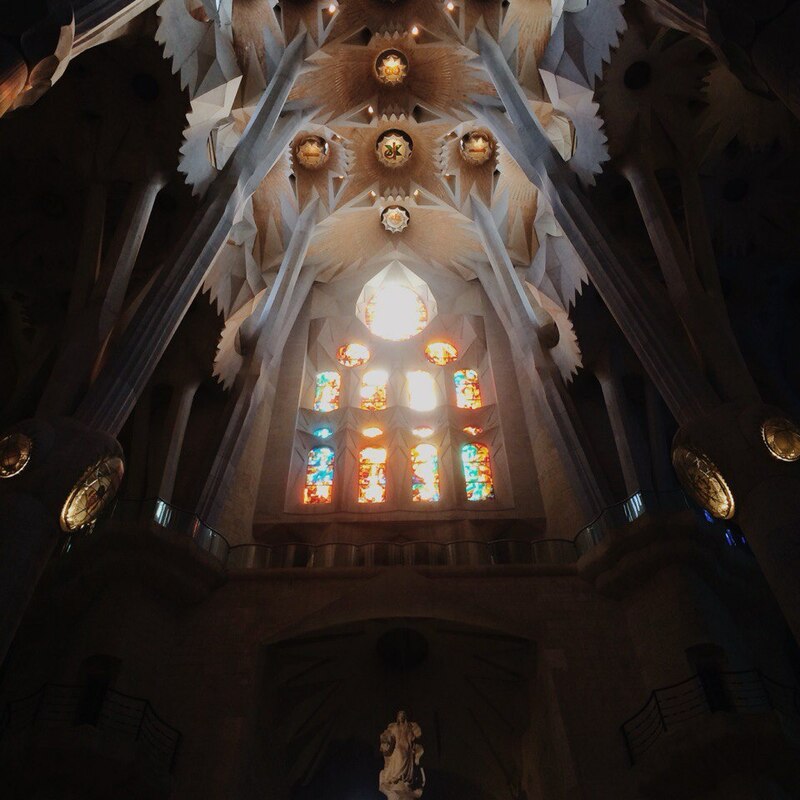 The main attraction of Barcelona for me is honestly neither Sagrada nor Parc Güell or any other Gaudi masterpieces; I travel there mainly because of my friends living there and the amazing nights you can spend there partying like nowhere else in the world. But so much is already said about Moog, Razzmatazz and the seacoast area bars. 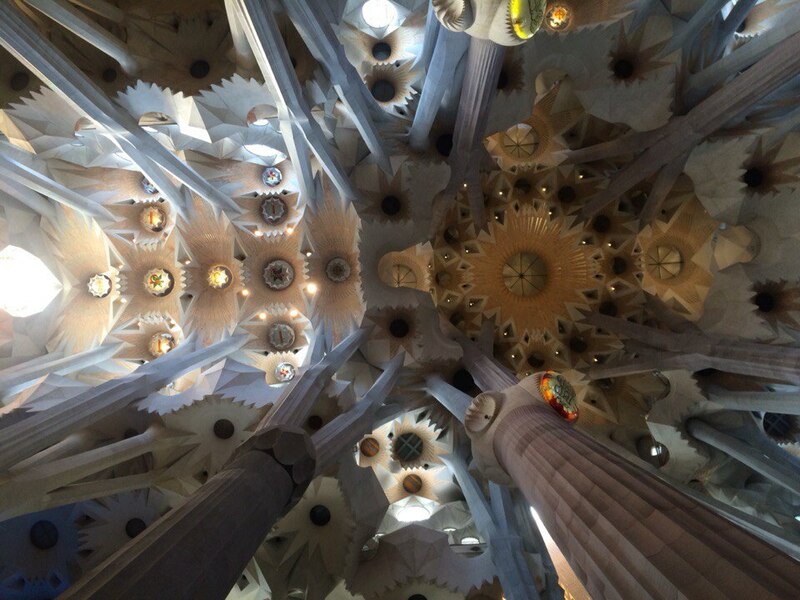 This time I share some words about something completely different that caused bright deep emotions in me and remains fresh in memory even 3 weeks after the trip to Spain. That will be the inside of that cathedral. Yes! After so many visits to the city I finally got in! Getting inside turned out to be much easier than it seemed to me. Every time passing by I was seeing such long lines at the entrance, those scared me and gave me only the feeling that I better cross the road and stay aside. But this time I decided to give it a try and see how that works. Guys, don’t be scared! The line to buy the tickets is short and moves very fast! But the ticket will be assigned 2-3h ahead, you can choose it yourself from some particular hour given. Which makes it very easy to plan the day and come in at any time later that suits you. And so all people waiting to get in just came in advance, but they will all get in as long as they have tickets for that exact entry time. So no panic! 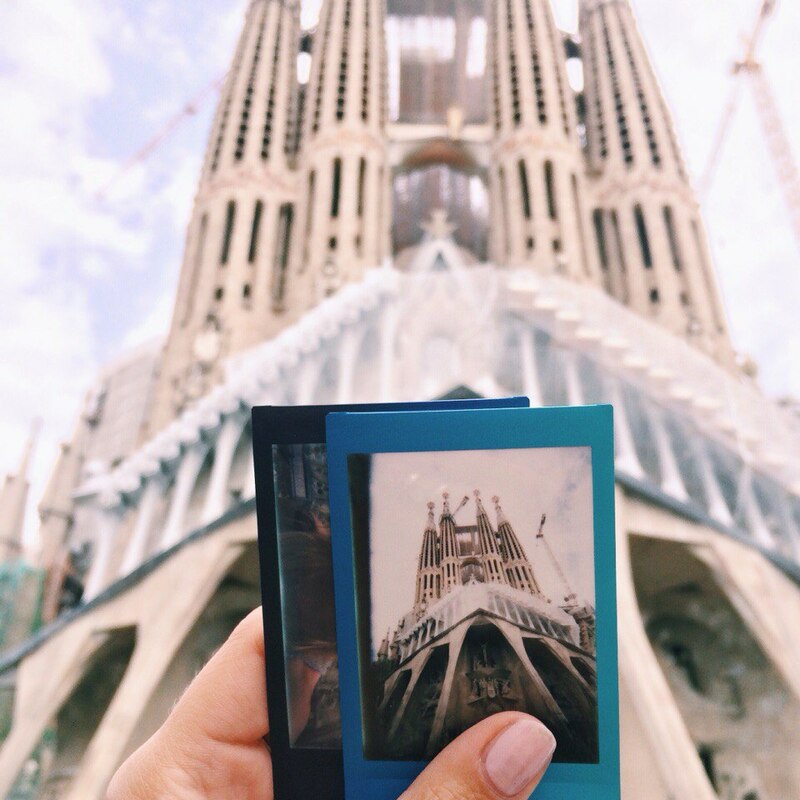 If you just have a day in Barcelona and you haven’t ordered the ticket online – just get one as soon as you arrive for later. I’d recommend to go short before the sunset! 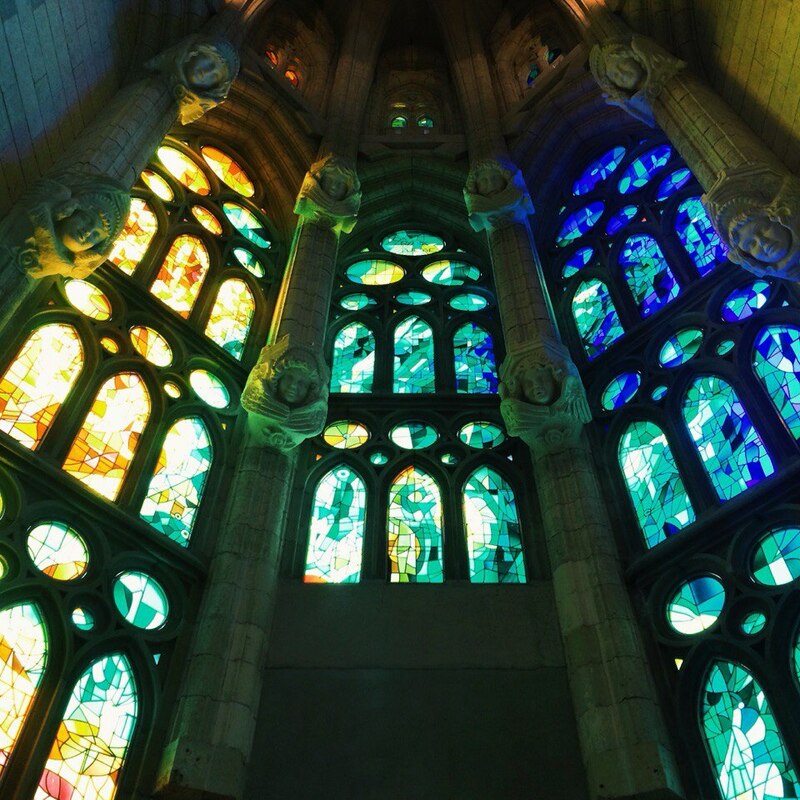 At that time the light goes through the stained glass windows in the most beautiful way and lights up the whole building as if you suddenly entered a fairy tale. 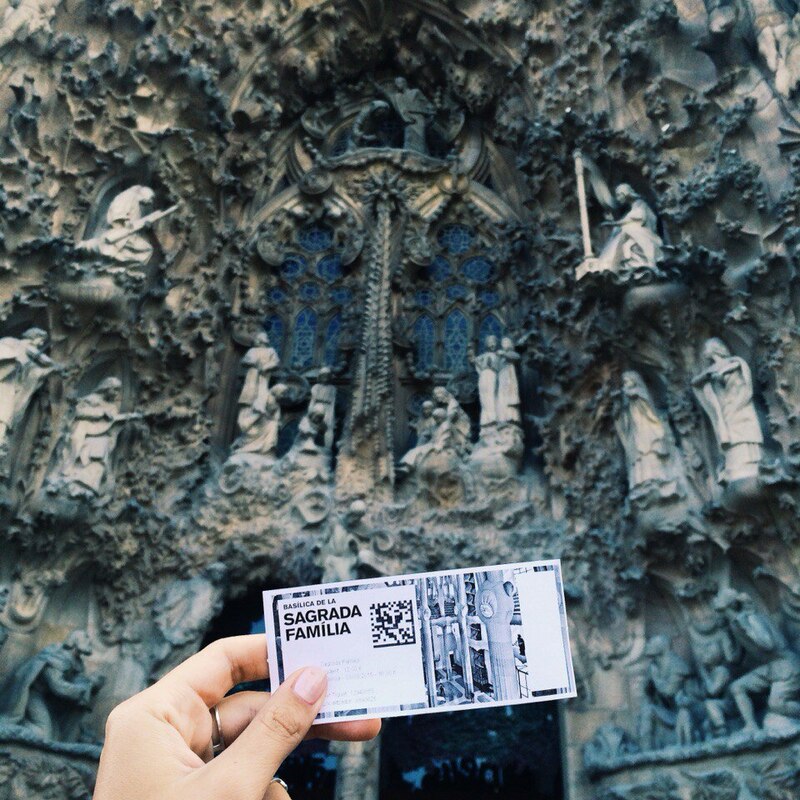 I have always liked Sagrada Familia. 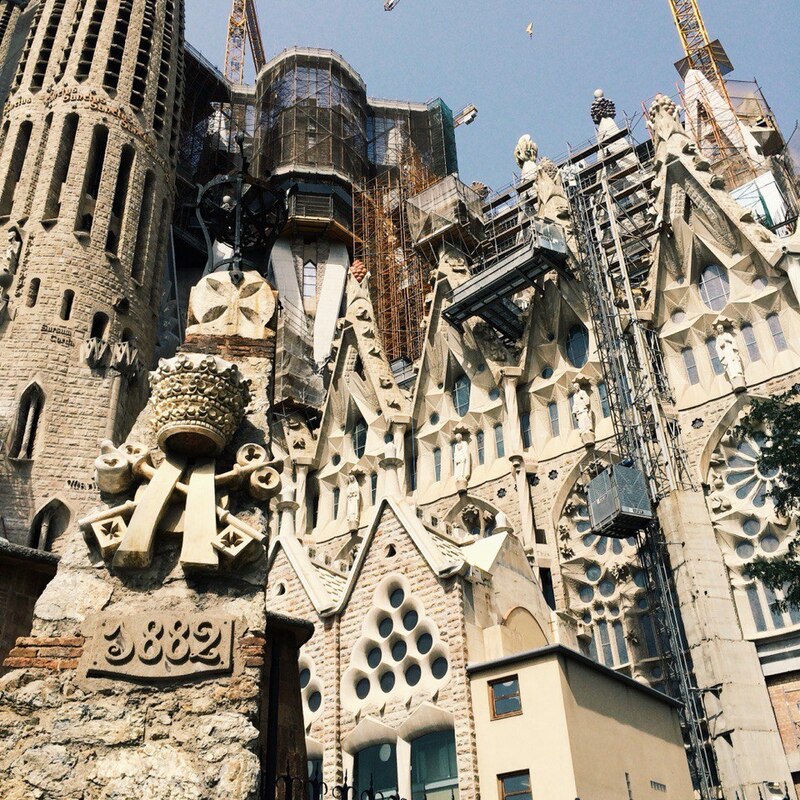 So many times have I been to Barcelona, and every time I come up to it and stare. But I had never been inside before. How happy was I to have accomplished that! I hesitated if I want to see the inside having watched the outside uncountable many times – damn, yes! All the pics that you are seeing were taken with my iPhone only and have no filters on them. 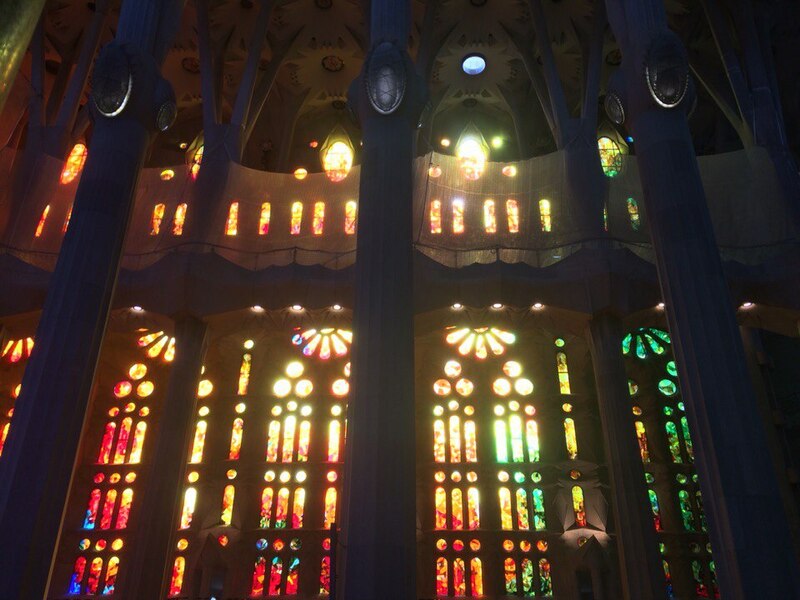 It os so beautiful and magical inside, magic needs no filter! All the colors, lines and shapes go in the same style as the outside design. But they are so fresher, brighter, live. I was just standing there not being able to look down when I realized that my mouth was open. I was sure that can happen only in movies haha. For real, I was astonished. Even the sounds of the cathedral constructions that continues nowadays and all the tourists talking didn’t disturb me anymore. Seeing all that around it seemed like I was seeing and hearing and thinking nothing else at that moment. I can’t describe the feeling I got there. I just know that at some point while being inside all the wonders that I had seen before all over the continent stopped matter and the image of them became blur. That was it, the real wonder. The outside I find amazing too, of course. But maybe it lost some of its impression on me because I just have seen it so many times. You know that feeling, when you see something as a kid and it amuses you, it won’t seem that magnificent when you see it again being a grown-up. 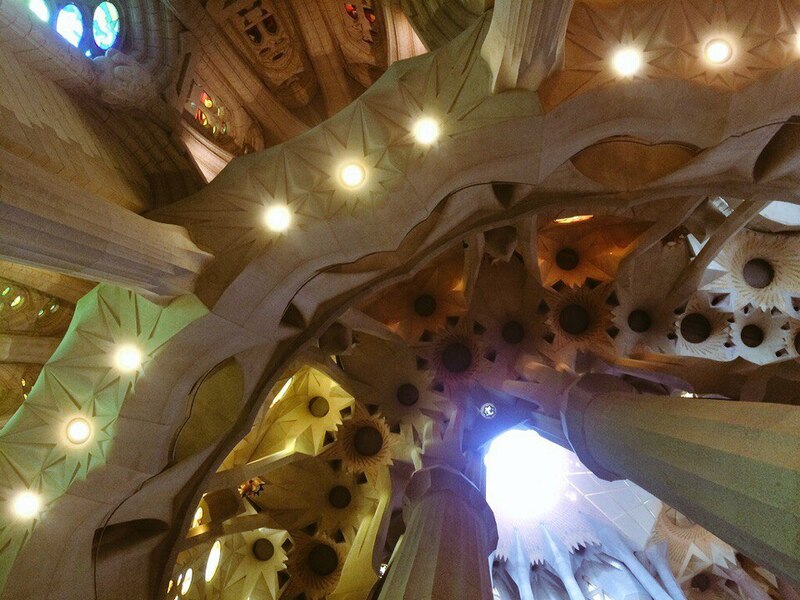 Maybe that’s the reason why all the Gaudi and Dali masterpieces are not the reason to go to Barcelona for me anymore. I nevertheless find all the wonders of that city splendid. 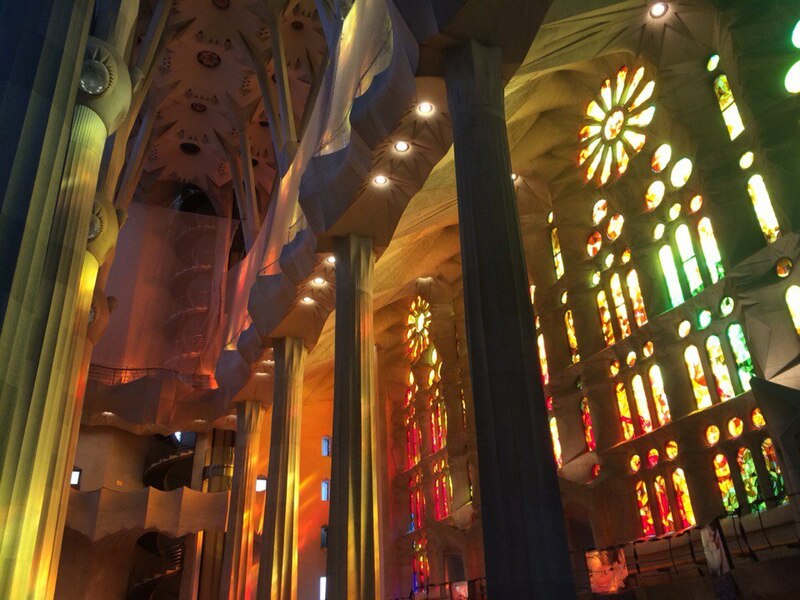 And I would love to come back to the Dali museum in Figueres and all the Gaudi creations with my kids in the future, if I ever have any, to see their excitement and remember my own. 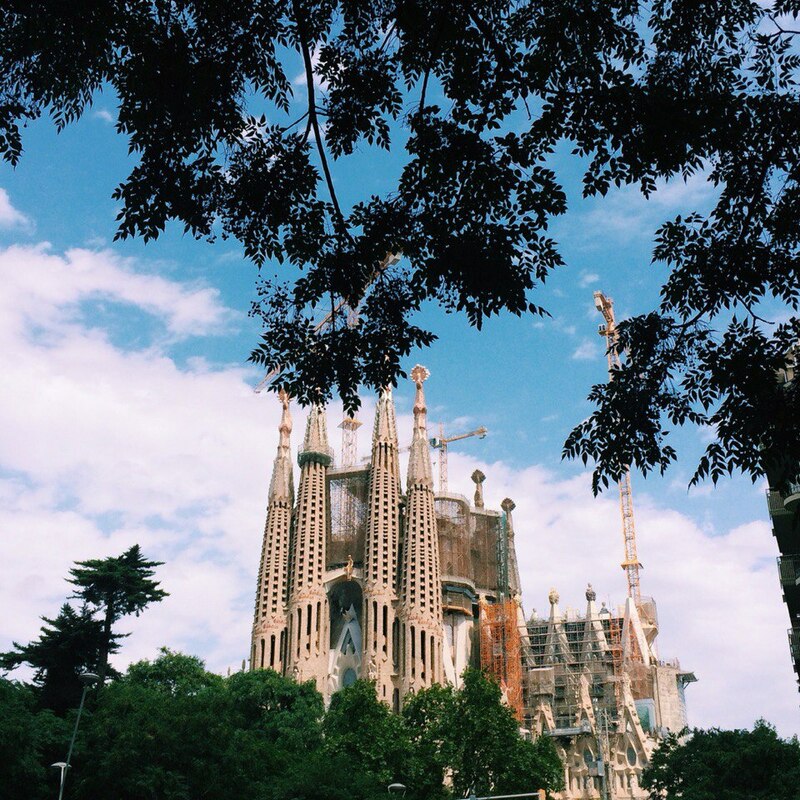 Barcelona, thank you for being so cool! Как я сообщала ранее, я плавно переключаюсь на английский в некоторых постах. Надеюсь, что это ни для кого не проблема; при востребованности я могу писать саммэри на русском. Не знаю пока, приживется ли английский в блоге окончательно, ведь я как-то раз уже пыталась перейти и в итоге забросила эту идею. Как бы то ни было, это – пост моего восхищения внутренним видом Собора Святого Семейства в Барселоне. Из этого столь мне милого города будет еще фотопост со снимками с камеры, если я когда-нибудь сброшу их. 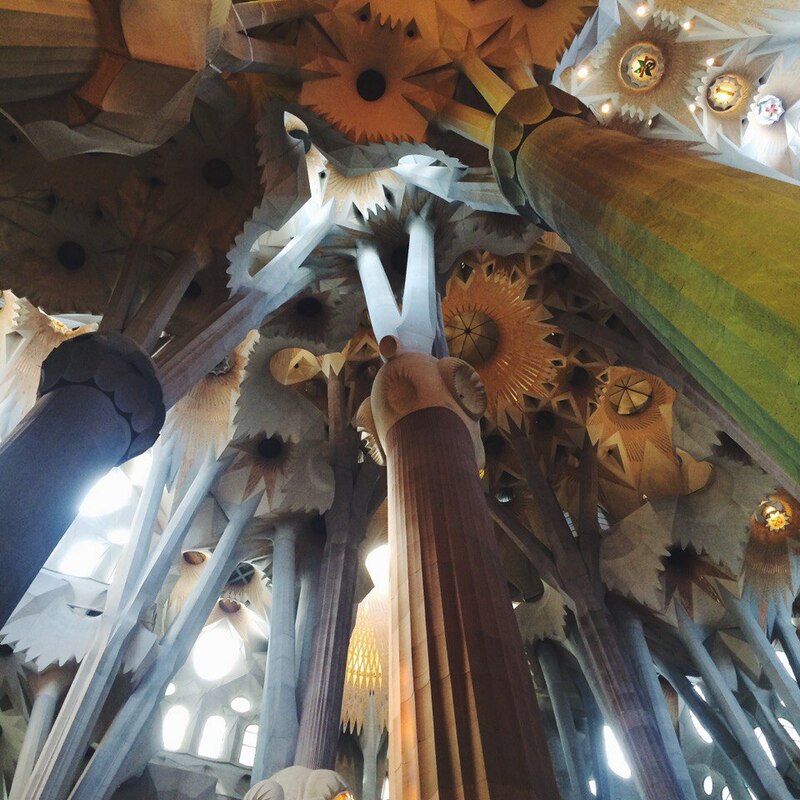 Tags: arts, BCN, memories, passion, photos, places, Spain, travel, vacation | Permalink.